Lil Bee's Boutique: Lil Bee's "Glam it Up" kit: Liquid Pearls! 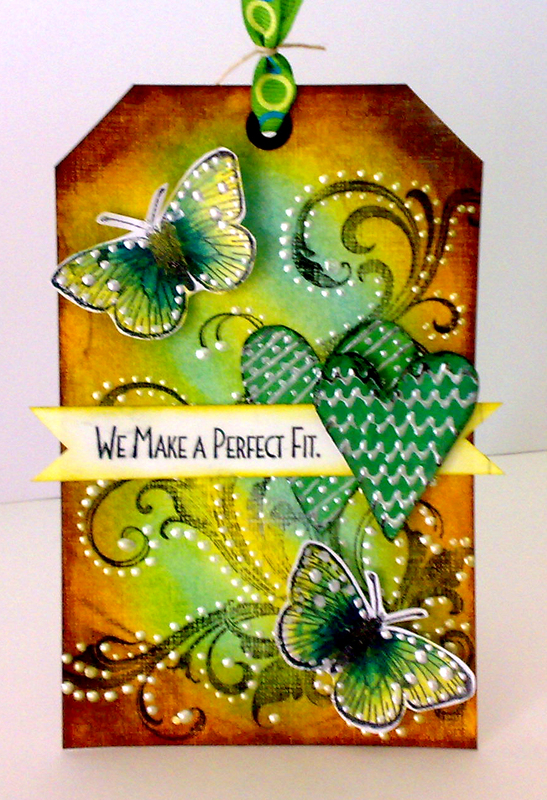 We are joined by Kavi Tha from Chennai, India to inspire us from Lil Bee's "Glam it Up" kit! Today in focus from Lil Bee's "Glam it Up" kit is Liquid Pearls. The kit include White Opal Liquid pearls which a pearlized shade of white. Ranger has 30 new shades of Liquid Pearls. Liquid Pearls are a versatile, waterproof pearlescent paint designed especially for decorating paper and fabric. The bottle’s built-in easy flow tip is handy to use as a dimensional paint to accent scrapbook pages, cards and mixed-media artwork. Me and Kavitha will be back with more inspiration tomorrow! I think i could be using these liquid pearls to highlight my stamping as well ...it really gives such beautiful results!! Loved the liquid pearl on the butterflies and the whole tag,its shinning like a glitter.Good that as it is a paint it doesn't stick like a glitter.Wonderful to use on any card,I wish to use it on my quilled creations. Loved the card by Hana with the 3D effect and the colouring. Absolutely gorgeous creations by both of u..love the pattern over heart and fabulous ink blending.Clouds in hana's card are so eye catching specially those smaller ones !! I would love try these on paper beads for my paper jewellery !! Omg!!! These tags are lovely!!! The distressing is beautiful!! The effects created with the liquid pearls are awesome!! !